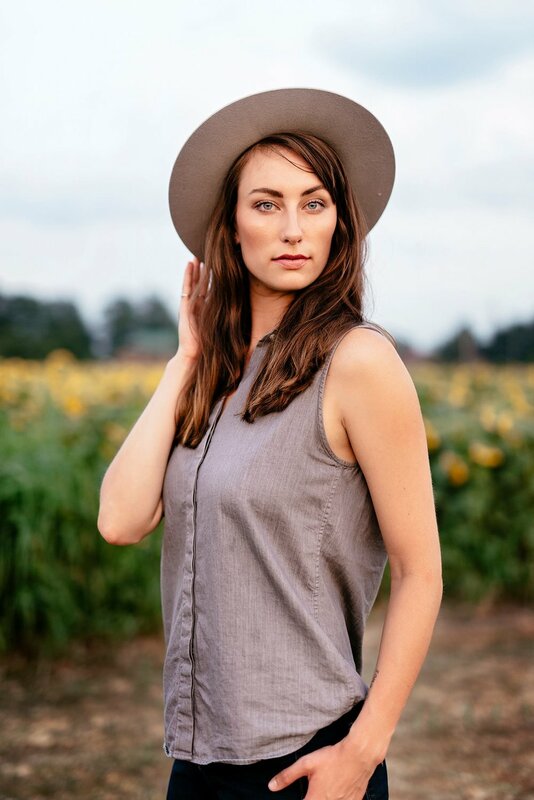 Tennessee born with a free spirit that embodies that of the American Southwest - Kaitlyn Stoddard-Carter is a photographer specializing in fine art, lifestyle, editorial, and wedding photography. Constantly torn between the southern comfort of life outside of Memphis, TN, and the vast freedom of the southwest, you'll find just a little bit of both places in her work. Kaitlyn holds a Bachelor’s Degree of Professional Studies in Fine Art and Fashion Merchandising as well as a minor in Spanish from the University of Memphis, where she graduated at the top of her class. Before dedicating herself to higher education, Kaitlyn traveled internationally working as a professional model. Later, inspired by her Southern background and by her time living in the American Southwest, she created an expansive body of artwork with a focus on photography. She is currently making a name for herself as a fine artist, commercial photographer, and social scientist who explores the dynamics of people and their relationships with their physical environments. Also an avid equestrian, Kaitlyn is fascinated by the therapeutic aspect of horses and plans to continue studying deeper themes found in nature. When she is not behind the lens, Kaitlyn can be found with her husband, best friend, and confidant Sean; riding her Desi Horse (who is more like a large lap dog); running with her dogs, Grimm and Ghost; or in the darkroom teaching her class of high school photography students. Kaitlyn has found, above all, that no matter where we are in the world, people are much more alike than we may think. It is merely the circumstances that are different. As a wonderful friend said, Kaitlyn's passion is "telling people's stories through pictures." That statement could not be any truer. Modern Arabian Horse Magazine, "St. Jude Patient Gets His Dream Ride from Retired Arabian Horse"